Working collaboratively with a curriculum team is one of the best ways to help teachers understand state standards and to build understanding of and commitment to teaching the curriculum. 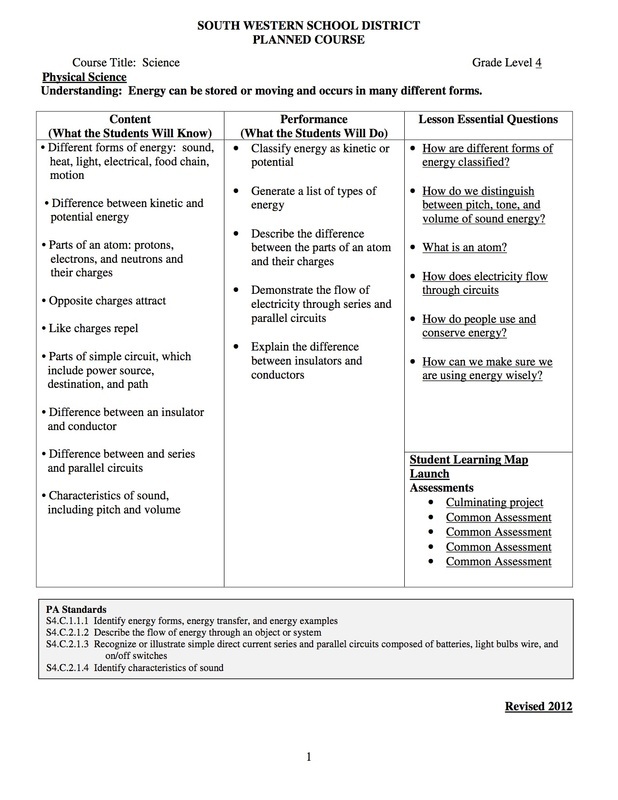 Below is an example of curriculum that was developed by teams of teachers. The content, performances, and lesson essential questions of the curriculum were based on state standards and best practices.